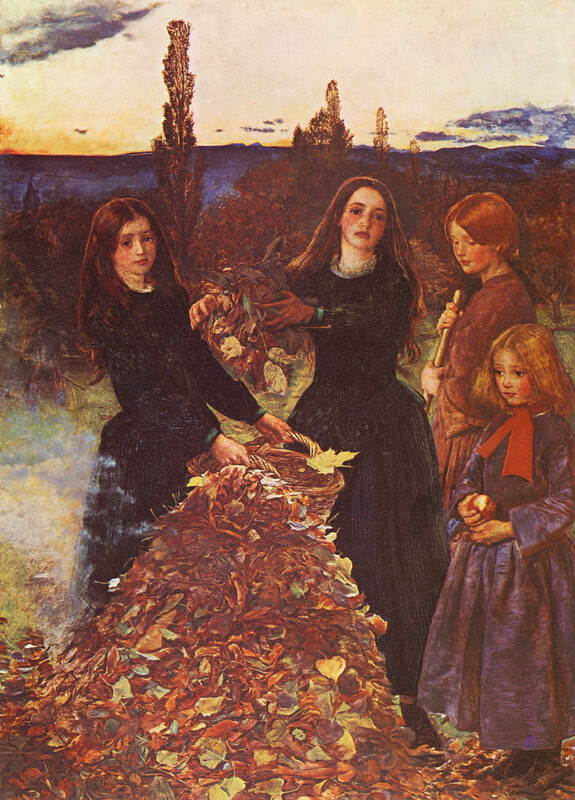 The vivid colors of Autumn's foliage and harvest have inspired many writers and artists. 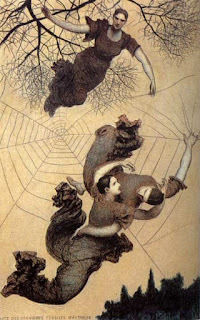 Belgian painter and decorative artist, Xavier Mellery (1845-1921) depicts leaves as women dancing through air catching on a spider's web. 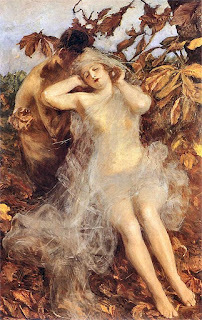 Autumn is also portrayed as a woman by Polish-Armenian artist Teodor Axentowicz (1859-1938). 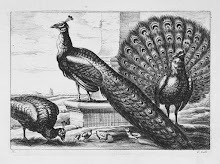 She lies languorously in a bed of leaves covered by cobwebs and supported by a mischievous fawn. 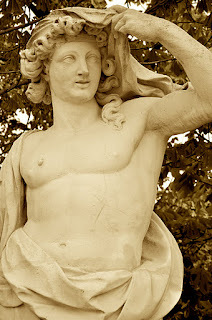 In The Tuileries Garden a marble term of Vertumnus, the roman god of seasons, change and transformation hides amid the leaves ready to seduce Pomona the goddess of fruitful abundance.